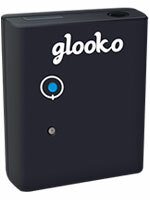 Glooko, a glucose management system for physician offices and health care systems, announced the launch of a new product called the MeterSync Blue. This device adds Bluetooth capabilities to more than 30 popular glucose meters, allowing you to connect and transmit your readings to the Glooko platform on Android or Apple devices. This then transfers your glucose readings to the cloud for analysis. The MeterSync Blue allows your meter to communicate with your phone up to 15 feet away. Most meters will still need a serial cable connection with the MeterSync but Accu-Chek meters will connect to it wirelessly. 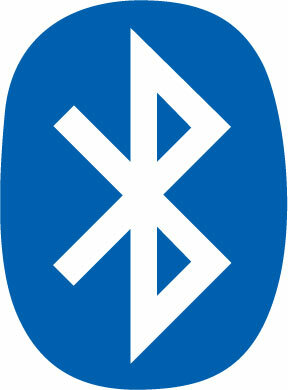 This approach allows patients to use the Bluetooth functionality and convenience without having buy a new meter. The Apple Watch and its operating system iOS 8 holds great promise for people with diabetes when it and the iPhone finally connect wearers to Apple’s Health software. With Android options also rapidly developing, these advances hold great potential for easy passage of diabetes data between devices so it can benefit people with diabetes and their health care providers. The question we really want answered is when will the meter, pump and CGM talk to each other? A provocative article on the front page of the Sunday’s New York Times (April 6, 2014) took on the high cost of diabetes care and investigated several areas of medical advancements as well as outrageous pricing. The article asks startling questions such as: Are your favorite diabetes drugs and devices relevant to your treatment? Read more about Are Diabetes Advancements Worth The Cost? The iHealth Smart Gluco-Monitoring system is a wireless glucose meter that communicates with a Bluetooth enabled mobile device to send your readings to the cloud. The meter is made by iHealth Lab Inc, a tech company based in California, that makes many health related products, including scales, blood pressure monitors and activity trackers. The OneTouch VerioIQ was touted as “the first meter ever that automatically alerts you to patterns you might not even know were there,” It joined other “smart” meters like the Telcare Meter. Using the Verio test strips, the VerioIQ is a white meter with a color LCD screen. It has a strip port light and automatic backlight for testing in the dark. There are 4 buttons on its face for scrolling and navigating through the software. It includes a rechargeable battery that can be charged through an AC adaptor or a mini USB cable (both provided). The meter market has been making some great strides over the past year. Telcare, based in Bethesda, MD, released the first cellular enabled glucose meter at the 2012 CES Conference. The most interesting feature of the Telcare BGM is that it works without having to plug your meter into a computer, due to its included cellular network. The other parts of the Telcare system have a number of interesting features as well.